What would you recommend to anglers fishing in San Pedro? 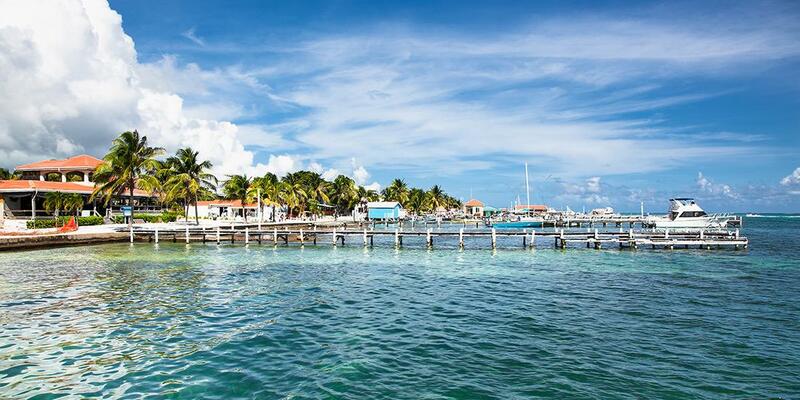 What would you recommend to anglers fishing in San Pedro for the first time? When booking I specifically said that we wanted to mostly fish for tarpon. The only bait on the boat was crabs (no tarpon bait). When I asked the captain about going after tarpon he said they were mostly caught at night, this was a day trip. They should have told me in the many emails if they were not planning to take us tarpon fishing. Since this booking format doesn't allow direct contact with the captain, we did not get to fish for what we asked for. It was too late to change anything when we got on the boat. I guess before we flew from Texas to Belize, I should have had better response to my emails. We did catch a few bonefish and the water in Belize is beautiful but at this time I doubt I will book through this format again. Thanks. I typically marlin fish in Cabo San Lucas Mexico. San Pedro had more action throughout the day as in Cabo you hope to catch one fish a day. We hooked over a dozen fish. More variety of fish were available in San Pedro. We did reef fish two days. The calmer water and shorter fishing time was fine for my wife and daughter. But the fish while many were smaller. 1 pound or less. I would have like to attempted to fish the bay side of the island, but didn't get ime. Whether it's 2000 feet is water or 2 feet of water the possibilities are endless. I have caught a wide range of fish while staying on SP. Whatever you want is certainly catchable. But be reminded it is called fishing and not catching. I have had terrible days on the water in the states. I have read reviews of boats that are not very positive to say the least and I am sure there are bad experiences. I believe those reviews are posted without looking at all factors and that people feel that just because they are here in SP that they will automatically catch the trophy fish that they are seeking. It happens for sure just not every day. Happy Fishing Everyone! It rained heavily in the afternoon and our captain was wary of the lightning hitting the boat so it cut our day significantly... maybe the summer months are better or at least start early in the day. We couldn't find snapper, but we did get a couple of barracuda. SPECIFY what species of fish you want to seek because we did not and we were a little disappointed that we didn't try for more. Its a crap shoot unless you know someone that has had a good trip with a certain guide. There is so many "guides" to choose from but a select few who are probably worth spending your money on. Next time I would book with names I heard from the other guests who had positive experiences. It's possible that the reef has been over fished as well. I will try fishing the flats on my next trip down. Knowing what you want to fish for. Deep sea, reef or flats. Each have different fish. I would do the spin reel for barracuda all day over the reef fishing. Guides were great. You could tell they weren't making a lot of money as they worried about losing gear on the reef. Stay away from the alcohol the night before. Make sure to take Dramamine (deep sea fishing) the night before and the morning of the trip. 8 hours is a long day to be out on the water especially when it is hot. Plan your trip accordingly and dont be late to the pick up point. You may not always catch what you want but after all it is called fishing. If new to fly fishing in salt water do your homework. It's not the same as fishing for trout or salmon but that's also what makes it interesting. Book a big enough boat for the expected conditions. A 26 foot open boat would make for a less enjoyable trip in anything but calm seas. The “dry boat” was a good choice. Book with Billyhoo, boat was excellent for fishing and enough room for a couple of kids to go and catch fish or just adults. Freedom tours did a great job while we were on the water. We would recommend them. Know the Captain can’t control whether or not th fish bite. His knowledge increases your odds but no guarantee. The seaweed issue was a bit of a problem when reef fishing. The bait periodically got hung up on the seaweed and needed to cleaned off. However the water is spectacular and the fishing very good. Make sure what you are paying for is what you want. We were 6 of us and wasn’t able to have our own fishing rods to use to fish. Check weather, have clear understanding with the management about their weather cancellation policy. Call ahead to see what will be running it will help you plan your day better. Half days may be better option if bill fish aren't really running. You'll be fishing within 10mins from leaving the dock. Its 450 deep just beyond the reef. Deep sea fishing is all trolling, not bottom fishing.